Join us for a very special summer event on the beautiful Isle of Wight. 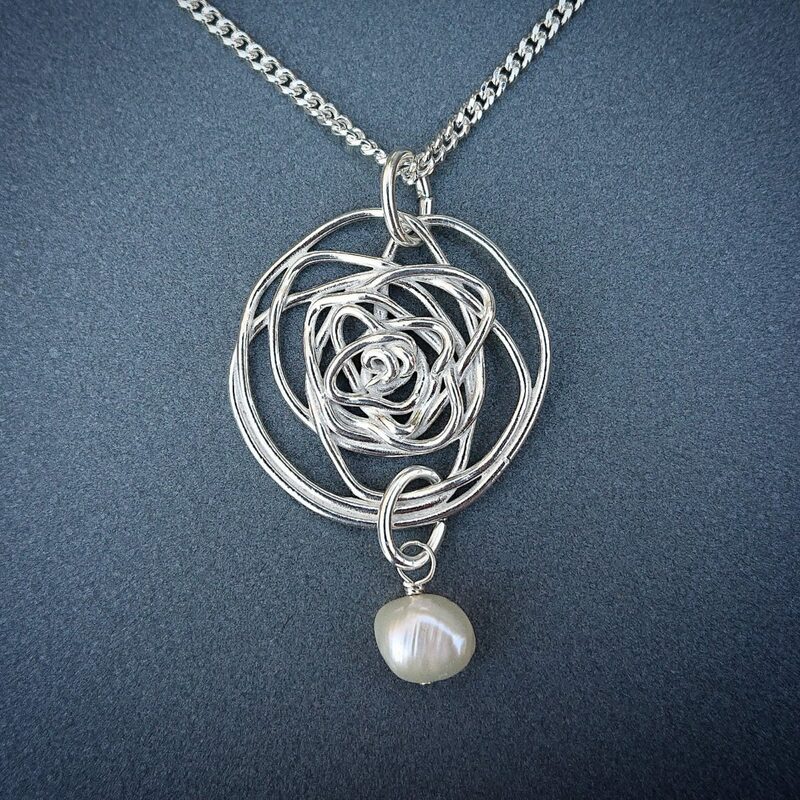 Spend a relaxing day learning to design and make real silver jewellery plus enjoy a fabulous lunch with delicious, locally sourced produce and a glass of fizz. Arrive at our unique venue in time for coffee, homemade cookies and an introduction to today’s projects. Silver clay is an incredibly ingenious new form of re-cycled silver made into a soft ‘clay’ which is very easy to work with. Today we’ll be working on two very different projects, using inspiration from our beautiful natural surroundings. Collecting leaves, seeds, grasses and other natural materials, we’ll create a texture plate using our finds. We’ll then use the texture plate as we design a ‘nature inspired’ pendant or earrings. Our second project will be a delicate filigree rose pendant. 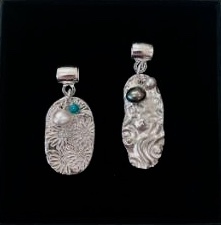 Ideal for beginners or those with some experience of working with silver clay. All designs will be finished and ready to wear by the end of the day – or send for hallmarking. Our day includes a magnificent three-course alfresco lunch (weather permitting) with time to relax and enjoy the unique surroundings with a glass of fizz!